Facebook's headquarters are famous for being quirky and modern. Here are some tips on how they created an inspirational workspace and how you can too. Facebook is getting ready to celebrate its 10th birthday. Tomorrow, the social media site will have been going for an entire decade. What started as a way for Harvard University students to communicate with each other has now become a global phenomenon with more than 1.1 billion users all over the world. It is now vital for businesses to have their own Facebook page to help raise awareness of their brand and spread their company’s message. And liking and sharing has become a part of our everyday routine, along with updating our status. But one thing you might not know about Facebook is how it uses its modern office space to foster creativity and keep staff motivated. Thanks to Facebook CEO and internet entrepreneur Mark Zuckerberg, its headquarters in Menlo Park, California, are famous for being quirky, modern office space that is a great place to work. So what tips can you take from Facebook when designing your work environment? If you want your staff to work hard, you have to give them somewhere they can let off steam. Facebook strives to make its offices a fun place to be so its employees won’t mind spending large amounts of time at work. This includes having games rooms where staff can relax with Guitar Hero and an Xbox 360 as well as a chessboard and a Ping-Pong table. Of course, we're not suggesting this is viable for all businesses, in fact, several surveys have found that flashy perks don't necessarily create job satisfaction. Can you create a small area in your unit where you and your staff can eat in peace? 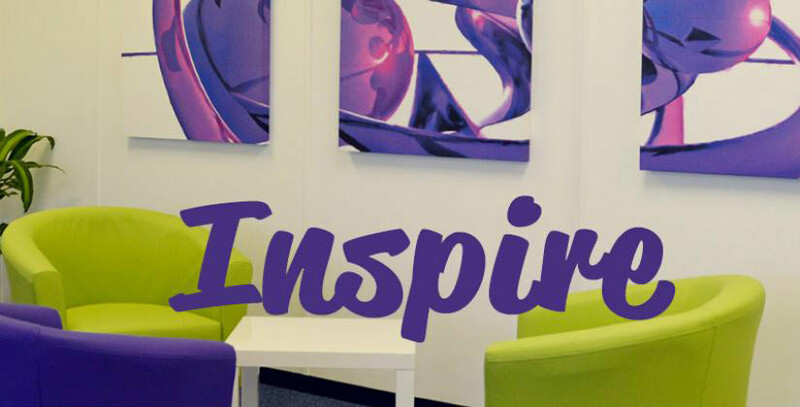 Many of our centres have breakout areas and if yours does, encourage your staff to use them. People who work through their lunch break are often less productive in the afternoon than those who take a proper break. Not all businesses are lucky enough to have any outdoor space but if you do, make the most of it. Facebook has a basketball court staff can exercise in and in warm weather, the roof of one of its buildings is used for barbecues and musical performances. We’re not suggesting you start hosting your own outdoor concerts, but having somewhere employees can go to get some fresh air can help boost staff productivity. Again, this may depend on where your business is based. Many of our sites, particularly our more rural centres have landscaped gardens, such as Coppull Enterprise Centre in Chorley. Consider whether having an open plan office would help encourage communication and creativity. Facebook made a conscious decision not to use dividers or walls, saying the spacious open-plan nature of its offices helps promotes its ethos of openness. Instead of just using standard office furniture, give your employees options so they can work in the way which is most comfortable for them. Facebook allow staff to choose whether they want to sit or stand to work and there is a range of seating available from normal office chairs to comfortable sofas. Cost is often a barrier to offering this, but as other ways of working, such as standing desks become more common, their costs will decrease. At the very least, when you need new or more furniture for your workplace, ask your staff for their opinions. It may also be an option to allow flexible working within your business. This can help to improve staff morale and potentially free up space within your office or unit. Striking pieces of artwork brighten up the work environment and help promote brand identity. Facebook’s modern office space uses a lots of colourful and striking murals, sculptures and pieces of art to create an atmosphere of fun and individuality. They also suspend large flags from the ceiling in part of the headquarters to convey Facebook’s international flavour. If you prefer something a little more subtle or cheaper, how about quotes and messages to inspire your staff? Facebook also uses these throughout its headquarters, as well as allowing their staff to personalise their space. In all businesses, great communication between staff is crucial. One key feature in Facebook’s headquarters is The Facebook Wall – a large blackboard where staff can write messages, motivational statements or whatever they want. If you do choose to have an open-plan office, try to create somewhere for staff to go for quiet reflection or to have private conversations. Facebook has some creative solutions for employees who feel they need to get away from the hustle and bustle. These include a telephone booth (complete with Superman costume) to allow people to have conversations on their mobile phones in privacy and small personal conference rooms called “cozies” where people can work alone or have small one-to-one meetings. You can book one of our meeting rooms if you don’t have a dedicated quiet area in your own workspace.